Though expectations were high, local handicraft vendors were not happy with the turnout of yesterday's event, the arrival of one of the largest cruise ships in the world - the Ovation of the Seas. 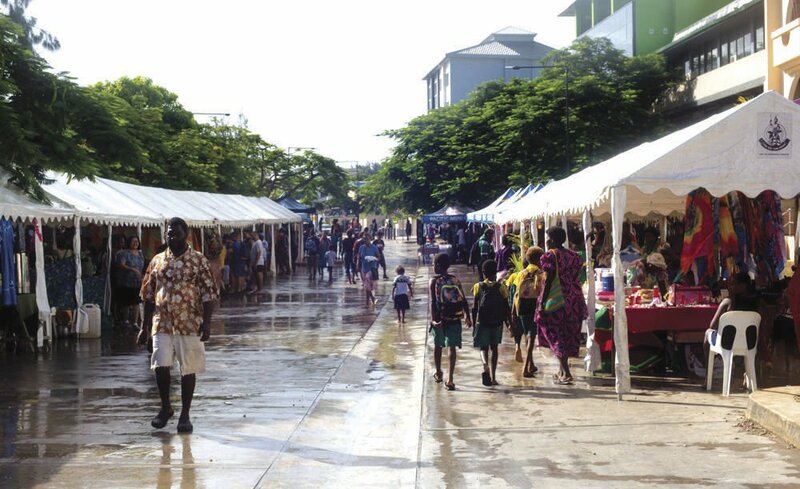 Port Vila had expected a good number of tourists out of the nearly 5,000 on board the cruise ship to swarm the streets. But that did not happen and the weather did not help as the rain disturbed a lot of activities. "It is not what we expected," Rebecca Bule, Ni-Vanuatu Arts and Craft Association (NACA) President conveyed. "We've experienced a huge loss, compared to other stalls, we haven't made a single gain of profit. "We've put in a lot of effort, we've spent more to meet expectations and to cover expenses for travel, for new uniforms, new furniture and new crafts as well. "The number of tourists we've seen remains under 20, we've seen more Ni-Vans than the tourists themselves. "Some tourists on the other hand, say they don't need to buy souvenirs, since they have everything available on the ship. They claim they're only here to observe. "This is nothing compared to any normal day we've received tourist boats. "This is surprising for us and unexpected. 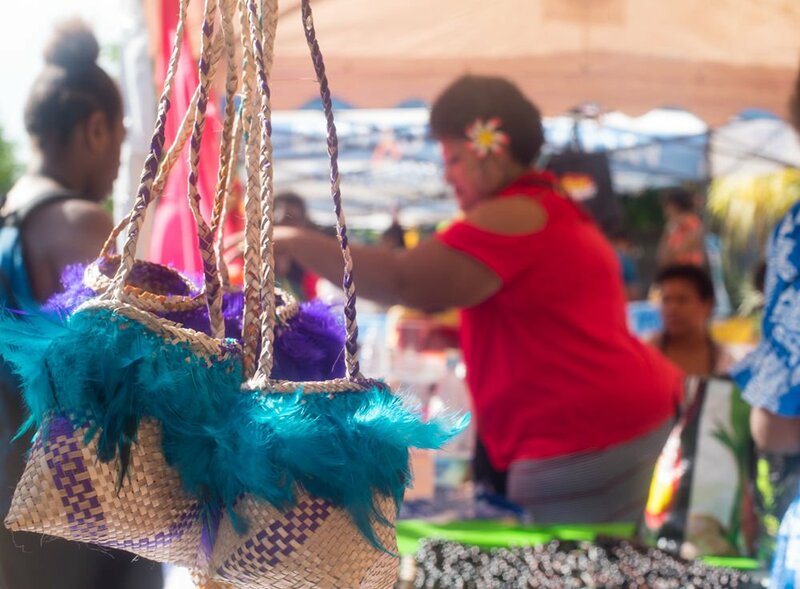 We gain a lot during normal days (when other cruise ships carrying lesser passengers berth in Port Vila), but today, there's not even a pinch of luck thrown in our way." "Our expectations were far more than what we've experienced today," she said. The President continued by saying though they've experienced a loss, she kept encouraging the mamas to keep their heads up and come tomorrow, for tomorrow brings a different ray of sunshine. Other vendors at the Seafront, with stalls and tents erected in rows beside the park, have experienced the same thing. Leiman Tamara, Head Organizer of Taloa Women's Club from Nguna shared her disappointment after failing to sell 100 traditionally woven baskets at their stall. "We arrived at 4am to begin our set-up. "From a hundred woven baskets, we've sold 3, our loss pains us more than you know, we have expenses to cover, not mentioning family expenses, transport (bus and boat from Nguna is around Vt6000) and our stall fees to cover. "The turnout was worst than we expected." 65-year-old Tongoan Carver, Noel Berry was also disappointed with the outcome of the day. His sales of wood carvings remained untouched ever since he had set them up early at 5am. "What the Municipal and the Organisers should do is prioritise and plan a thorough route for tourists to travel to town and see all our activities and displays. "Each boats should transport them here, to seafront. "We've seen more locals than the tourists. We haven't gained a profit either. It's a day wasted." Female Vice President of the Silae Vanua UN Market for Change shared similar experiences. "The problem is, there were too many Ni-Vans crowded at the Handicraft House, they crowded over our tables and giving less room for tourists to come closer. "We've also received only a few number of tourists, though we've put in extra efforts to making our best impressions, we're saddened to see our efforts go to waste as no tourist came to buy our products. "We've also tried conversing with tourists, yet the noise (entertainment) was too loud, they can't seem to hear us." Though the day was filled with colourful displays of decorations, entertaining music and amazing showcases of custom dancing, it was disappointing for vendors. However, a positive for yesterday was the record number of ni-Vanuatu turning up at the Seafront to look at one of the largest cruise ship in the world. I had to walk from the cemetery to town to work at 9am, I start at 8.
so without any disrespect to anyone, especially the mama's who went through a lot of trouble to sell their products but honestly, did we go too far? even if 2500 tourists came down, the whole of sea front to fatumaru could accommodate mama's tents to sell, there is no need to block off half of the town. We are also trying to get to work to make ends meet too. whoever organized this event, the ship didn't berth on the wharf, do you expect such a big amount of tourist will want to hop on a skiff and travel to shore? I predicted this would happen in the morning. next time don't count the chicks before the eggs hatch, expectation was too high and preparation was way over the top.